First built in 1902 for ship construction, the 250,000-square-foot “Building 128” may be back at the cutting edge of industry. The enormous structure will host New Lab, a platform and community for technology-focused entrepreneurs. 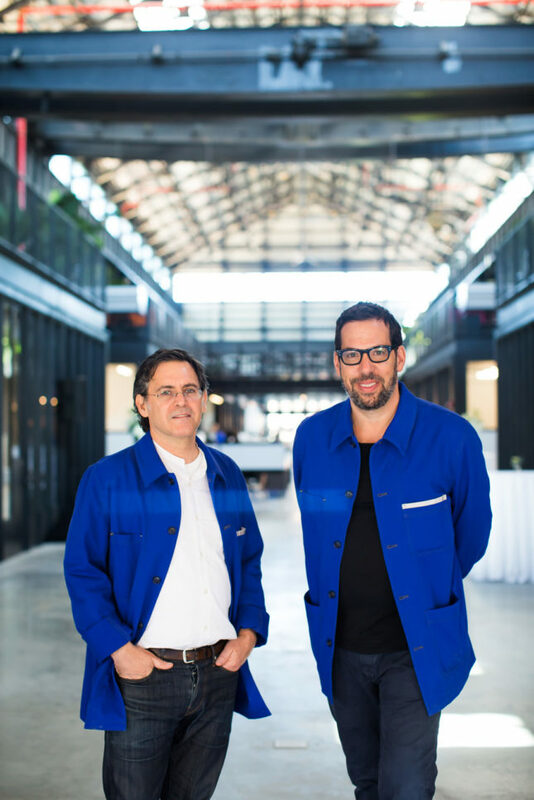 Yesterday, New York City officials, Brooklyn Navy Yard President & CEO David Ehrenberg, and New Lab founders David Belt and Scott Cohen gathered to inaugurate the new space. The scale of the New Lab is large, both in terms of raw numbers and the work being done: 50 companies and 350 workers will share 84,000 square feet of offices, laboratories, and other industrial facilities. 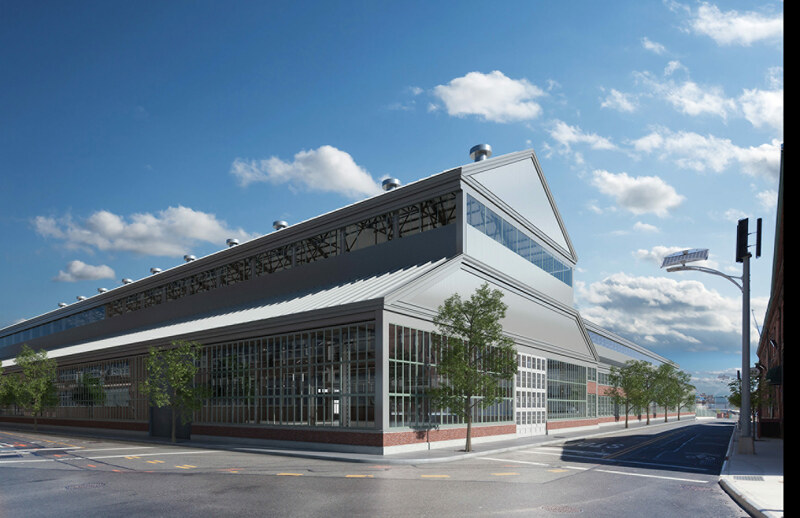 The project is part of a major push to revitalize the Brooklyn Navy Yard: the City aims to create 15,000 jobs there by 2020. For example, WeWork recently announced it would anchor a major new 675,000-square-foot coworking office building dubbed Dock 72. What can tech entrepreneurs find in New Lab? Studios range from 300 to 8,000 square feet and amenities include a cafe, kitchen, lounge, 4,500-square-foot event space, and workshops of every variety—CNC milling machines, metal and wood shops, an electronics lab for making circuits, a spray booth, laser cutters, and a 3D printing lab. 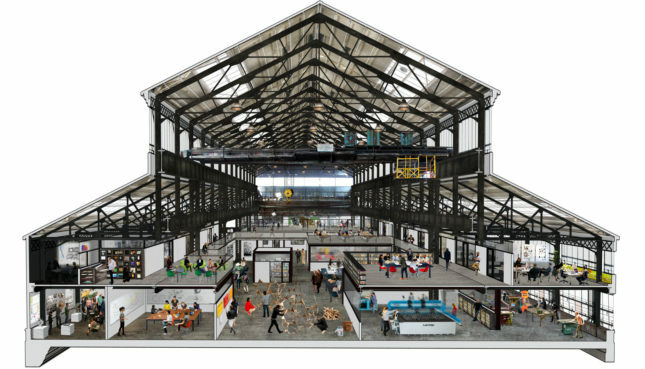 “Our vision is that New Lab will be a supportive and collaborative working environment for designers, engineers, and entrepreneurs—people trying to accomplish really hard things—not in Silicon Valley or at MIT but right here in Brooklyn,” said Cohen in a press release. Companies in New Lab’s member directory work in multiple fields of design, including robotics, nano tech, artificial intelligence, wearables, interactive architecture, and urban tech. 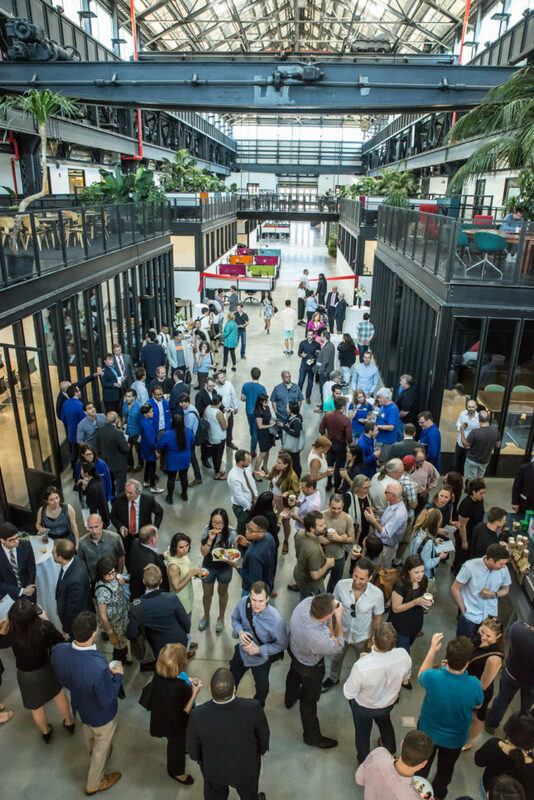 In terms of the latter category, New Lab is teaming up with the NYC Economic Development Corporation (NYCEDC)’s Urban Tech NYC program to create a special residency program for urban technology entrepreneurs. “Reserved for growth-stage companies tackling today’s most pressing urban challenges, this program…offers high-touch engagement with domain experts and peer communities,” the New Lab website says. As for the space itself, its design was a group effort: “Working alongside its sister management company, DBI, with Marvel Architects as the architect of record, Macro Sea—led by Belt, Design Director Nicko Elliott, and their small team—fostered the project from the idea’s inception down to prototyping and building custom furniture for the space,” New Lab said in a press release. While the ribbon was cut yesterday, the facility—which has been in the works since 2011—will open in earnest this September. Prospective entrepreneurs can apply for New Lab residency here.